MANILA - Sen. Panfilo Lacson on Friday slammed Sen. Antonio Trillanes IV and international rights groups for calling for the release of detained Sen. Leila de Lima, citing the need to adhere to criminal procedure. "No way. We should all understand and respect our criminal justice system. The Senate cannot and will not interfere with the courts that have jurisdiction over Senator De Lima's drug cases," Lacson said in a statement. "The judiciary is independent of the executive and legislative branches... They have no business in arrogantly asking our President to release Senator de Lima. That's totally uncalled for," he added. 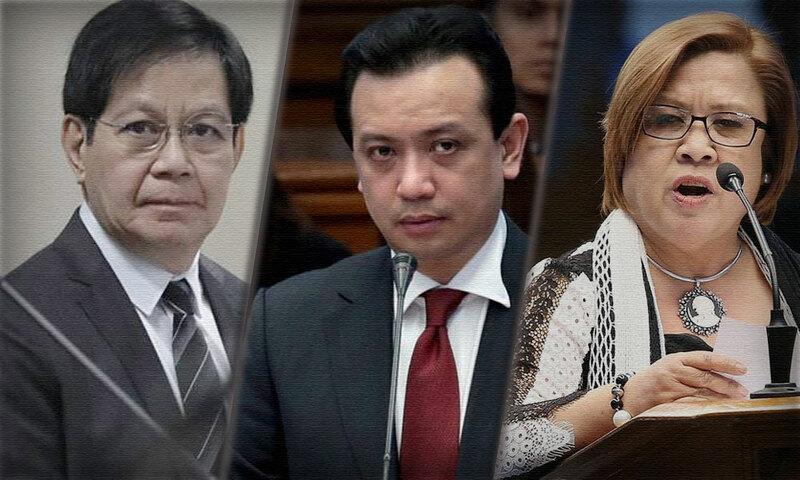 In a privilege speech on Wednesday, Trillanes had urged other senators to end the "injustice" against De Lima and "do the right thing" by calling for her release. Trillanes and De Lima, both in the Senate minority, are vocal critics of the administration. A day after Trillanes' call, the Council of Asian Liberals and Democrats (CALD) urged President Rodrigo Duterte and his allies to give De Lima a fair trial and allow her to fulfill her duty as an elected official of the country. "Until she is proven guilty, we hope that she is allowed to carry on her public duties," said Jayanthi Balaguro, chairperson of the CALD Women's Council. De Lima has been detained at the Philippine National Police Custodial Center in Camp Crame since February for her alleged links to the illegal drug trade inside the national penitentiary. De Lima has repeatedly denied the allegations and labeled the charges and her detention as "political persecution."